Brown trout (Salmo trutta) are widely introduced in western North America where their presence has led to declines of several native species. 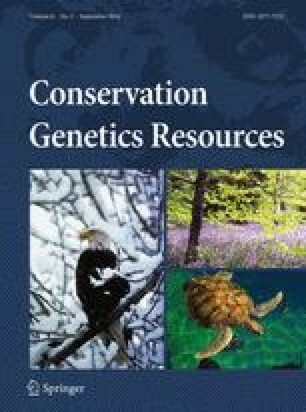 To assist conservation efforts aimed at early detection and eradication of this species, we developed a quantitative PCR marker to detect the presence of brown trout DNA in environmental samples. The marker strongly amplified brown trout eDNA, and produced no amplification of eDNA from 17 other species commonly found in western North America. We field tested this marker and demonstrated positive detections in field samples where brown trout presence was known. The online version of this article (doi: 10.1007/s12686-016-0548-5) contains supplementary material, which is available to authorized users.